2016/ is a new and contemporary design brand that keeps the valuable Japanese porcelain techniques alive and herewith revives Arita’s craft industry. Arita, an idyllic town in Japan, is known for producing porcelain. As Arita celebrates its 400th anniversary this year, an exciting new chapter is added to the history with the launch of 2016/. 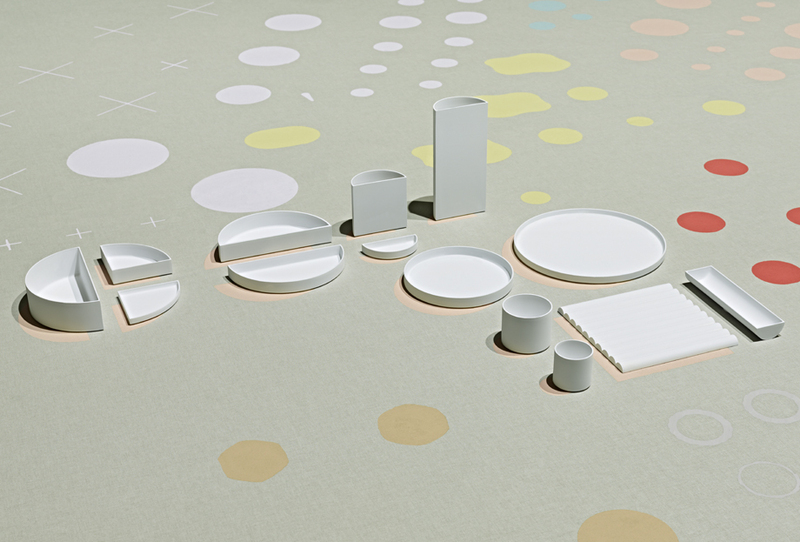 designers Kirstie van Noort, Christien Meindertsma, Studio Wieki Somers and Scholten & Baijings. Stefan Scholten en Carole Baijings are also creative directors of the 2016/ project, together with Japanese designer Teruhiro Yanagihara. 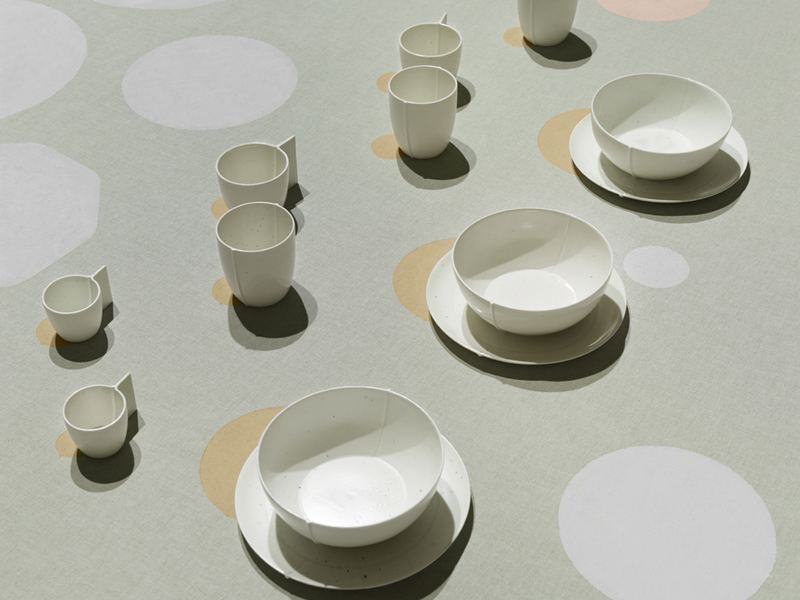 Both have worked with the makers of Arita previously for the successful 1616 / arita japan collections. 2016/ was launched during Milan Design Week 2016 and is shown in the Rijksmuseum’s Asian Pavilion until 9 October 2016. The 2016/ collections are available for consumers later this year and will be distributed internationally. Below you will find a selection of the 2016/ collection. 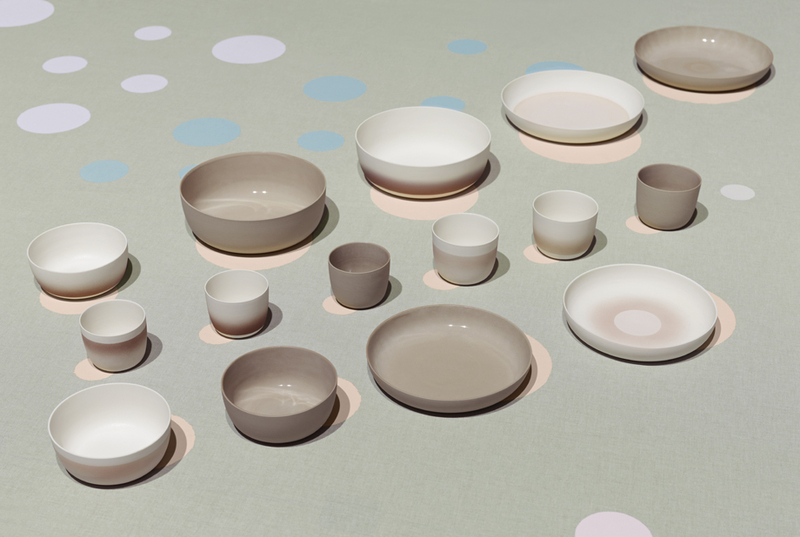 2016/ Scholten & Baijings – With twenty-seven dishes Scholten & Baijings celebrate the beauty of 400 years of Arita porcelain and demonstrate what a rich source of inspiration traditional Aritaware can offer contemporary design. Exploring Arita’s outstanding examples of hand-painting, they reviewed hundreds of pieces and came across countless techniques. 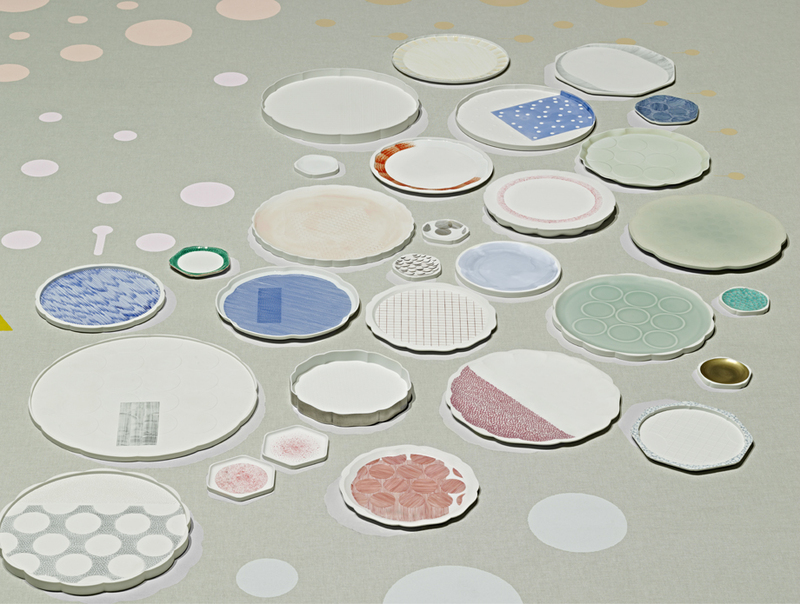 Scholten & Baijings chose to celebrate these unique skills, but rather than use recognizable imagery the design duo has instead applied patterns that are abstractions of traditional motifs. them to single components. 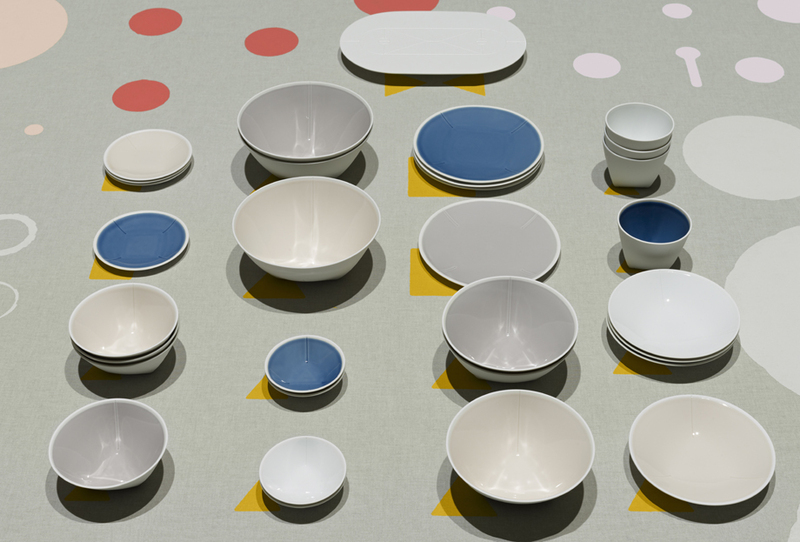 2016/ Editions by Scholten & Baijings is limited edition. gave van Noort and Sehyo pottery – a specialist in material investigation – enough material to develop seven new colours specific to Arita and one new clay body, using a mixture of Kaolin and black Amakusa stone. 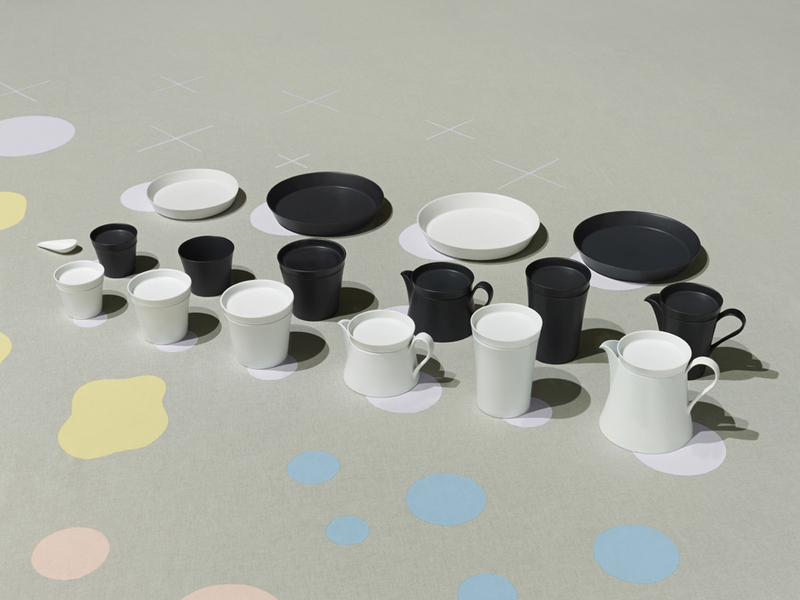 The emphasis is on the unique colour palette and so the collection consists of basic shapes in two series. 2016/ Christien Meindertsma – In the 16th century Dutch traders made so-called ‘hofreizen’ – long trips by boat and foot – to visit the Shoguns of Japan. They would bring Dutch linen with them as a special gift and would return to The Netherlands with prized porcelain objects. Arita porcelain and Dutch table linen are often depicted being used together in paintings from this time. For Christien Meindertsma this unlikely partnership was a source of inspiration. 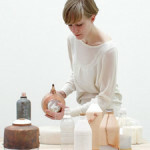 She has used linen cloth to model the shapes of cups, plates and bowls that were subsequently translated into porcelain. Meindertsma has worked with Fujimaki Seitou pottery to invent a special glaze that incorporates waste porcelain material gathered from each of the other 2016/ collections. 2016/ Studio Wieki Somers – Studio Wieki Somers has collaborated with the Koransha pottery to create two tea sets that combine traditional crafts with advanced technology. 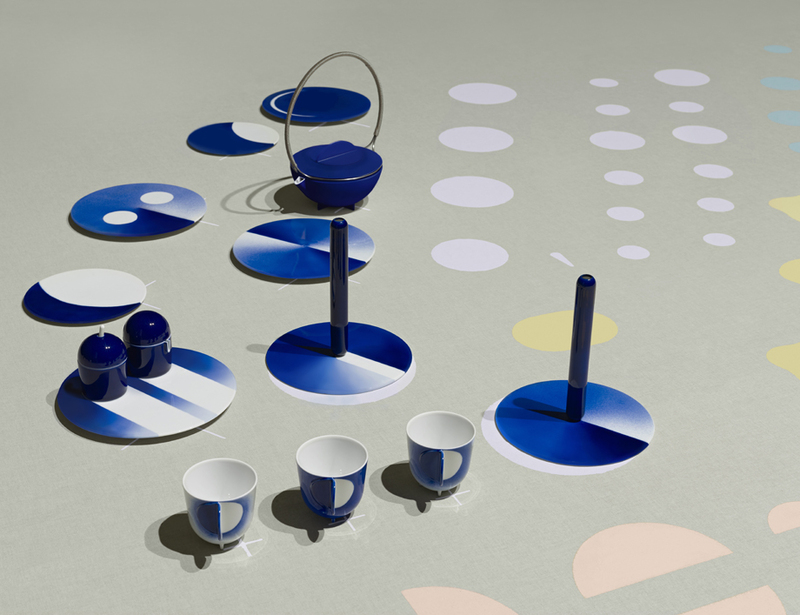 The tea sets showcase the iconic ‘Koransha blue’ glaze and feature patterns inspired by an ancient decorative technique that employs metal stencils to create sprayed motifs on the surface. 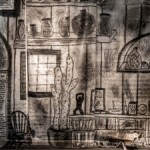 The studio adapted this technique and abstracted it – revealing the process in the pattern and thereby celebrating the craft. The traditionally used metal stencils are replaced by functional parts of the products, for example the lid of the teapot and the handle of the cup. The forms that appeared during the process refer to one of Japan’s most iconic symbols: the moon. 2016/ Ingegerd Råman – The collaboration of Swedish glass and ceramic designer Ingegerd Råman, with the Koransha pottery has resulted in a supremely functional stacking tea set. When stacked together, the individual vessels are given an additional utility, like tea that can be kept warm. The velvety black glaze and a matt white glaze have been laboriously developed especially for this product. 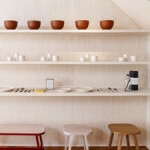 Råman states that the set was developed following a truly collaborative process between designer and craftsperson. 2016/ Tomás Alonso – The collection of London-based Tomás Alonso consists of a series of containers with complimentary basic geometries, colours and sizes. The containers don’t have predetermined functions but instead work together in different arrangements. The proportions of the containers make them suitable as desktop accessories, as decorative arrangements or to serve food at a dining table. 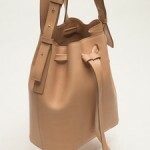 This collection makes good use of the highly skilled mold-making techniques available in Arita. Although elementary, the crisp shapes in Alonso’s collection are especially difficult to achieve. Alonso worked with Sehyou pottery to achieve these forms and to develop a range of colours using a new technique that sees pigment mixed with clay as a replacement for traditional glazing. of setting a table and determining objects with shapes and sizes that would work for both. 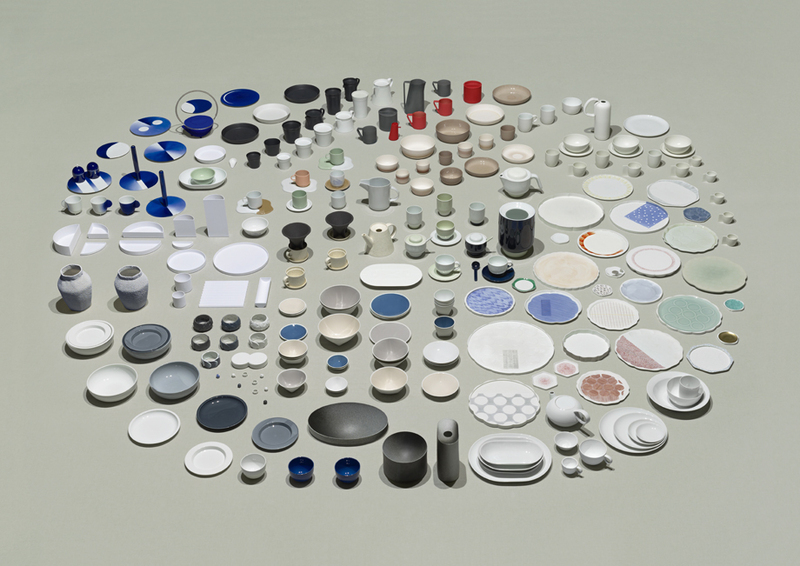 The resulting collection of plates, bowls and vessels all work in a multifunctional way. Haas aimed that the collection would be accessible, for the everyday and that its beauty is found in the subtlety of unexpected geometries.